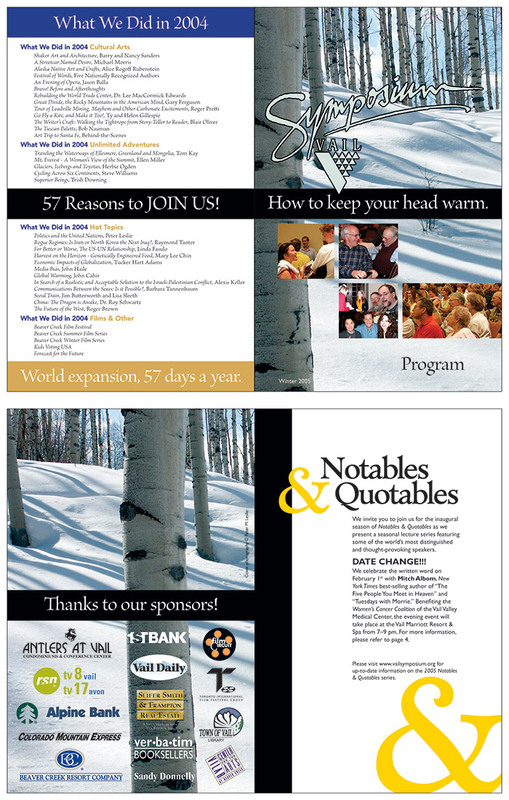 Caption Cover for winter event programs. Folds in half. Top, left to right: back and front covers. Bottom, left to right: inside front and back covers.